With an unplanned baby on the way, a newlywed daughter whose marriage is already in trouble, a teenager who won't eat and doesn't think there's anything wrong with her, and hiding secrets from each other, Barry and Aimee are on a rocky road. When love flies in the window, ex-wives can cause a lot of trouble. And Marianna is going to cause as much trouble as she possibly can to make sure that her former husband is not going to waltz down the aisle with his new love. 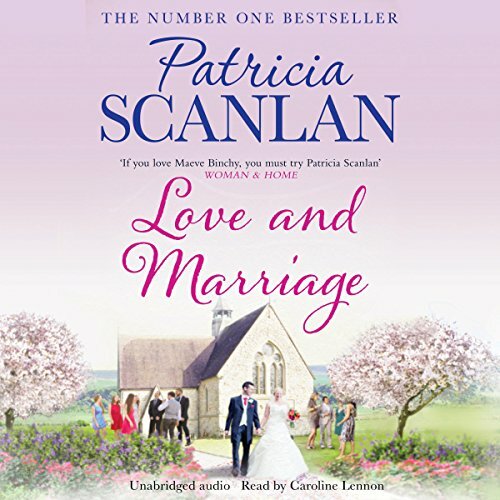 Families in crisis, passion, tragedy, and the healing powers of love - Patricia Scanlan's brilliant and heartwarming new novel re-introduces us to the characters in Forgive and Forget and Happy Ever After, and brings their story to a triumphant conclusion.